The Cuban expression “mañana, mañana.” is often interpreted by Anglos as an excuse for laziness. In fact, the saying speaks volumes about its island of origin. In a country that has been led by one Castro or another for more than half a century, what hope can there be that tomorrow will be any different from today? Earlier this month, that question brought several dozen experts, academics, and journalists to Columbia Journalism School in Manhattan. Optimism was evident in the conference’s title — Covering Cuba in an Era of Change — as well as in the presentations, which included strong hints that the embargo’s days are numbered. Gregory Craig, former White House counsel under Barack Obama, said the president already has the legal power to lift most of the sanctions that have crippled Cuba since the fall of the Soviet Union. Although Congress probably would refuse to officially overturn the embargo, Obama could — and should — instantly normalize diplomatic relations and allow Americans to travel to the island, Craig said. Massachusetts Congressman Jim McGovern outlined a six-month window in which Obama is most likely to make a move, beginning after next week’s midterm elections and concluding with the Summit of the Americas in late April. If Obama and Raúl Castro both attend as predicted, it will be the first official meeting between two countries’ leaders since Raúl and Fidel swept down from the Sierra Maestra. Many roadblocks remain, however. McGovern warned that any rapprochement would require dealing with both Alan Gross — the USAID contractor imprisoned in Cuba since 2011 for distributing satellite phones without a permit — and the three surviving members of the “Cuban Five,” the Castro agents who spied on Miami’s exile community. Easing the embargo would also cost Obama politically. “I think part of the reluctance is that [the administration] will get some pushback from people who are in pretty serious positions,” McGovern said, including Miami’s hard-line Cubans. Perhaps the most concrete evidence that things are already changing on the island was the presence of three Cuban journalists at the conference. Miriam Celaya, Elaine Díaz, and Orlando Luís Pardo Lazo have all been allowed to leave under recently relaxed travel restrictions. Celaya is scheduled to return to Havana this week, while Díaz and Pardo are on yearlong academic fellowships. But Celaya and Pardo hardly painted a promising picture of their homeland. Celaya said she had been blocked from entering the library because of her journalism. Other reporters had been beaten and imprisoned, Pardo said. Both described having to share articles via paquetes, or troves of documents on flash drives. 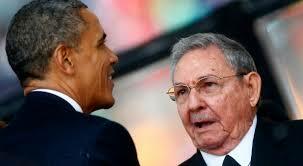 And Pardo said Cuba’s infamous state security apparatus remained intact despite the growth of internet on the island. In other words: when the Castros kick the bucket. La oficial Alina Amaro Alayo, “Adelfa”, en los primeros años de su carrera, antes de llegar a ser jefa de sección en el Departamento Estados Unidos-Canadá, fue la oficial de caso de la Inteligencia cubana que atendía al Senador George McGovern, y ella conservaba con mucho cariño en la sala de su casa, una foto de ella abrazada con McGovern. En una conversación de más de 8 horas en una casa de seguridad de la Inteligencia cubana en Santa María del Mar (a pocos kilómetros de la ciudad de Habana), que el Senador McGovern sostuvo con Fidel Castro, durante un viaje que realizo a Cuba, la interprete entre Castro y McGovern fue la entonces oficial de la inteligencia “Adelfa” (Castro no utilizó a su interprete oficial, sino a una oficial de caso de la DGI). De ella pude conocer detalles de dicha larga conversación en la que se “conspiró”, como aliados estratégicos, para transformar por completo Estados Unidos desde el punto de vista político, así como sobre el apoyo material cubano que el senador McGovern había recibido para su campaña presidencial en el año 1972. Ella también me contó que cuando años después, en 1980, Fidel Castro visitó New York para una intervención en la ONU, le envió una discreta invitación a McGovern para que se reunieran en privado en la Representación de Cuba ante Naciones Unidas, invitación a la que McGovern respondió que no podía en ese momento reunirse con él, Castro monto en cólera y dijo en privado que McGovern era un mal agradecido. La intervención y el “apoyo” cubano en la campaña electoral por la presidencia del Senador McGovern fue una realidad, no una sospecha infundada. Tal vez la historia hubiera sido diferente si en aquel momento se hubiera sabido la verdad. 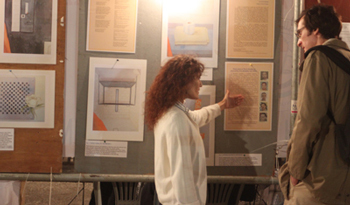 ATHENS, Greece — About 300 people viewed watercolors by Antonio Guerrero, one of the Cuban Five, at the Oct. 2-5 annual Syriza youth festival, a major political and cultural event here attended by several thousand people. Syriza (Coalition of the Radical Left), a social-democratic coalition founded in 2004, is today the largest opposition bloc in the Greek parliament. On display was a collection of 15 watercolors by Guerrero titled “I Will Die the Way I’ve Lived” that depict the experiences of the five revolutionaries during their first 17 months in the “hole” at the Federal Detention Center in Miami. The exhibit was part of a Cuban booth set up in the festival’s International Corner, which was dedicated to Palestine, Venezuela and Cuba. Showings of Guerrero’s art in Greece have been organized by a joint effort of the José Martí Cultural Association, Greek Solidarity Network-La Red Solid@ria, Hasta La Victoria Siempre and the publishing house Diethnes Vima. “The Syriza youth festival was the 10th stop since the Greece tour was launched in May,” said Loukia Konstantinou, who helped organize the showing. More than 1,300 people have seen the exhibit, some 550 of whom have signed petitions demanding President Barack Obama release the three revolutionaries who remain in prison — Gerardo Hernández, Ramón Labañino and Guerrero. Participants at Guerrero’s 15-watercolor exhibit in Greece have bought a total of 159 books published by Diethnes Vima and Pathfinder Press on the Cuban Five, the Cuban Revolution and other working-class politics. RUSIA, 16 de octubre. El vicecanciller ruso Serguei Riabkov recibió en la sede del Ministerio de Asuntos Exteriores de este país, a Josefina Vidal, Directora General de la Dirección de Estados Unidos del Ministerio de Relaciones Exteriores de Cuba. El encuentro se desarrolló en un clima de cordialidad y en el marco de las excelentes relaciones de cooperación entre ambos países. En el mismo se intercambió sobre el desarrollo de los principales aspectos de las relaciones bilaterales entre Rusia y Cuba y sobre los temas de la actualidad internacional. 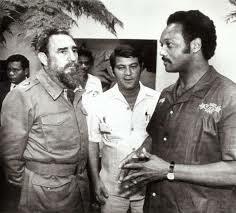 Jesse Jackson meeting with Cuban leader Fidel Castro in Cuba on June 25, 1984. Cuba has sent tens of thousands of health workers to aid foreign nations in distress, including 1,500 to Haiti after its 2010 earthquake. The Cubans cooperate with the U.S. on migration issues and in patrolling the seas. The Cubans also aid the U.S. in the wars on drugs and terror, now hosting peace talks between the Colombian government and guerrilla leaders there that even American officials acknowledge are helpful. Cubans are freer to travel to the U.S. than Americans are to travel to Cuba. The Cubans are expanding private ownership and encouraging foreign investment, with the Brazilians, Europeans, Chinese and Russians all grabbing opportunities. While the Cubans are far from a democracy and continue to curb dissent and limit freedom of assembly, their leaders are slowly opening the country up, while playing a responsible role across the developing world. And yet America continues to enforce an embargo that began in 1961. The State Department still includes Cuba on its list of terrorist nations. This perverse policy has helped to isolate the U.S. in its own hemisphere. The U.S. government’s unrelenting opposition to Cuba’s presence at hemispheric meetings has offended virtually all of our neighbors, while isolating the U.S. Now the U.S. has been put on notice: When Latin American governments open the seventh Summit of the Americas in Panama City next spring, Cuba will be in attendance whether Obama comes or not. The failed embargo against Cuba should have been lifted decades ago. The embargo has been sustained largely for two reasons. 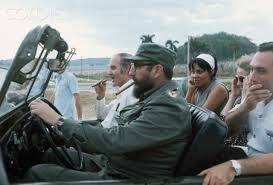 First, Castro embarrassed the CIA and the cold warriors, frustrating their attempts to invade the island, destabilize the regime and assassinate him. Second, domestic politics, particularly the passion of Cuban American voters in the swing state Florida, sustained the policy long past its expiration date. 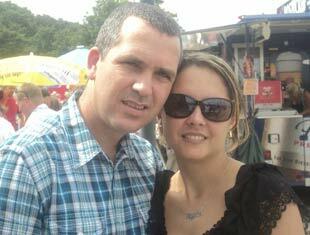 But the Cold War is long over, and the new generation of Cuban Americans wants relations opened up. The New York Times recently called on President Obama to normalize relations with Cuba. Only Congress can fully end the embargo, but the president can expand the right to travel to and invest in the island, and can restore normal diplomatic ties. He might sensibly commute the sentences of the three of the five Cuban men who remain in jail after 16 years, and exchange them for Alan Gross, now imprisoned in Cuba for five years as an American spy. This could help launch a new era of engagement with our own hemisphere. The U.S. has been so busy across the world that it has neglected — and often scorned — our neighbors. Yet from immigration to terrorism to climate change and economic vitality, good relations with our neighbors are critical. Ending the outmoded cold war against an island 90 miles off our shore is long overdue. By taking this step, President Obama can revive U.S. leadership in the region and bring to an end an historic embarrassment. 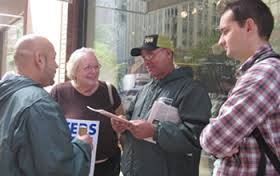 The leftist newspaper, The Militant, reported on “Free The 5” efforts at a Nebraska Peace Conference in early October. The event reportedly drew over 100 attendees to discuss issues from the war in the Middle East to the environment. When the attendees broke for lunch, Nebraskans For Peace (NFP) President Mark Vasina invited everyone to see an art display by jailed Cuban spy Antonio Guerrero. He also introduced Jacquie Henderson, who helped organize the showing, to share a pro-Castro perspective on the spy-terrorists. Apparently oblivious to the apartheid practices of the Castro dictatorship, Henderson lauded three of the jailed spies for having served in Angola against a “white supremacist South African regime.” In the end, dozens of people reportedly looked at the paintings. The newspaper also reported that 11 attendees “picked up” books authored by Guerrero or Castro apologists, suggesting that they may have been given away free. Today in Havana, the new book by William M. Leogrande and Peter Komubluh, ¨Back Channel to Cuba. The Hidden History of Negotiations Between Washington and Havana,¨ will be presented at the Villena room of the Cuban Association of Writers and Artists (UNEAC). Also being discussed is the expanded second edition of a book on Cuba-US relations by a pair of Cuban authors. According to Cubarte, the session is being moderated by Ramón Sánchez Parodi. Ramón Sánchez Parodi Montoto was the first chief at the Cuban Interests Section when Washington and Havana re-established diplomatic mission on September 1, 1977. This career spy served in Washington for 12 consecutive years. 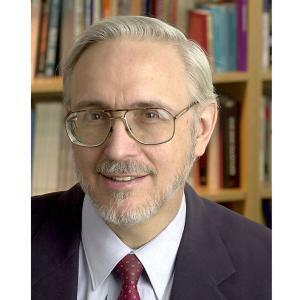 During this assignment, Sánchez Parodi was exposed as an intelligence officer during the Senate testimony of Dr Daniel James of the Congressional Research Service. James said Sánchez Parodi, whom he cited as either Directorate of Intelligence (DI) or America Department (DA), targeted the Congressional Black Caucus to foment opposition to existing US policies towards Cuba. According to the New York Times, Sánchez Parodi was extremely well connected to the US academic, civic, cultural, and business communities. He was promoted to Vice Minister of Foreign Affairs immediately following his US tour. His portfolio was the Western Hemisphere. During the latter half of the 1990s, Sánchez Parodi was Cuba’s Ambassador to Brazil. Following this tour, he returned to Havana to head the Department of International Relations for Cuban Customs. United States citizen Alan Gross has been imprisoned in Cuba since being arrested in 2009. He is currently serving a 15 year sentence for “acts against the independence or the territorial integrity of the state.” A government subcontractor for the U.S. Agency for International Development (US-AID), the government’s international development agency, Gross was working to provide internet/intranet access to Cuban citizens in Jewish communities. HAVANA TIMES – Cuban journalist and diplomat Sonia Franco Cervera has abandoned her post as consul at the Cuban Embassy in Germany and is currently in Miami, after having requested political asylum from US authorities. Sources told CafeFuerte that the 31-year-old Franco arrived in the United States in July this year, accompanied by her 3-year-old son Franco, after travelling from Berlin to Mexico and crossing the US border to invoke the Cuban Adjustment Act (CAA). Apparently, Franco’s decision was prompted by the unexpected trip and subsequent arrest in Havana of her husband Daciel Alfonso Guzman, who was the deputy chief of Cuba’s diplomatic mission in Germany. According to another testimony, Franco’s first move was to request aid from the US Embassy in Berlin. Her request didn’t yield any results and she decided to use her diplomatic passport to travel to Mexico. She is currently staying in the home of some friends in Miami. CafeFuerte tried to contact Franco in Miami, but desisted after several unsuccessful attempts. A person involved in this situation said that the former diplomat is going through a very tense moment and does not wish to make any declarations about what happened. For the time being, Alfonso’s name has been removed from the webpage of the Cuban Embassy in Germany and a blank space has been left under the heading of Deputy Chief, with an email left as reference. 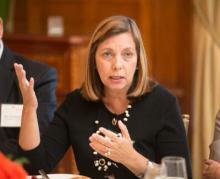 Belkis Rodriguez Hidalgo appears as the First Secretary in the Consular Section page. “We’ve heard versions of the story here that Daciel was called to give a full accounting following complaints about the performance of his duties, but nothing concrete has been leaked and people suspect there is something more serious behind this,” a source linked to MINREX said in Havana.